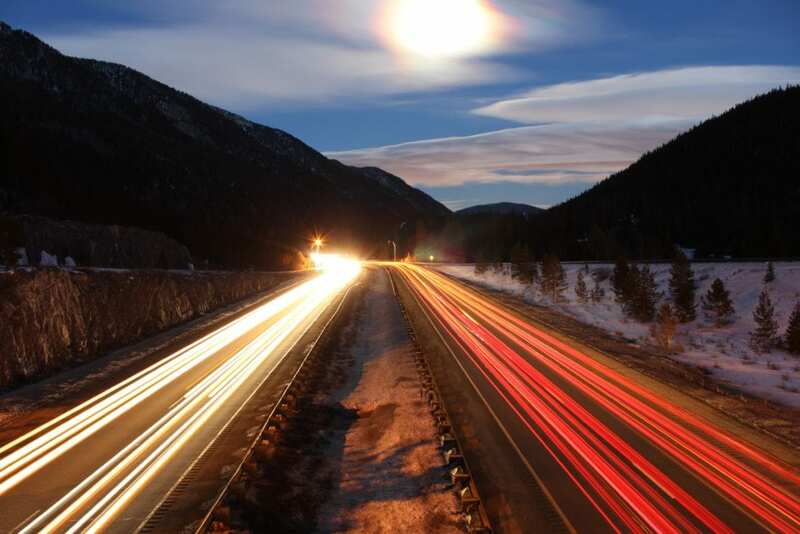 Ski season is approaching and the Colorado Department of Transportation (C-DOT) has been making some major improvements to help ease skier traffic in the mountains! New options and strategies for transportation are expanding; easing traffic along the mountain corridor. This will be the first year the Mountain Express Lane will be open for ski season. This toll lane will allow drivers to cut at least 30 minutes off the commute to Denver driving eastbound on 1-70 when there is heavy congestion from the Continental Divide to the top of Floyd Hill. C-DOT believes the new lane is beneficial to all drivers, as it will ease congestion and keep traffic moving during high-volume times. Some commercial transport services such as Colorado Mountain Express are free to use the lane at their discretion making more room in the non-toll lanes for other drivers. With the return of the historic Winter Park Ski Train some are expecting to see a decrease in skier traffic congestion and drivers on the road. C-DOT estimates there may be around 400 less cars every Saturday and Sunday commuting to-and-from the mountains. The Winter Park Ski Train, traveling between Union Station and the Winter Park Resort eliminates the need for a vehicle for some travelers. Some of the perks include travel time to be around an hour, no skier traffic and passengers can sit-back and relax after a long day on the slopes! Union Pacific which owns the railroad tracks between Union Station and Winter Park have a three-year contract with Amtrak to run the train. Additional ways C-DOT is hoping to ease skier traffic along the I-70 corridor is the addition of more flights to the high country. Airports located in Hayden, Aspen and Eagle have added more flights to their regular flight itinerary. This Winter season will be a record breaker for Aspen with a historical nine nonstop flights to-and-from DEN, LAX, ORD, DFW, SLC, ATL SFO, IAH, and MSP. In adding more flights, their intent is to make it easier to reach your destination while traveling whether it be for business or leisure. C-DOT is also testing new, high tech road sensor technology. These sensors are supposed to help warn drivers about problems on the highway via their smartphones in time for them to take action. C-DOT has also invested in using snow plows to meter traffic as well as boost warnings and fines for drivers with inadequate tires for winter driving. According to C-DOT’s figures, their tactics are working – reducing the average time to-and-from the mountains compared to previous years, as well as keeping drivers more safe during ski season. With all the new tactics and technology for mountain corridor travel, we are looking forward to some of the changes; making travel between the mountains and Denver more convenient than ever before. We can’t wait for this upcoming ski season!